Home/World News/Archieve/Turkey attack Iraq and Syria by using PKK card while the military bases of PKK are deployed in Turkish land. Turkey attack Iraq and Syria by using PKK card while the military bases of PKK are deployed in Turkish land. What is PKK and who is PKK? Does PKK actually represent Kurdish People? For what PKK was established? 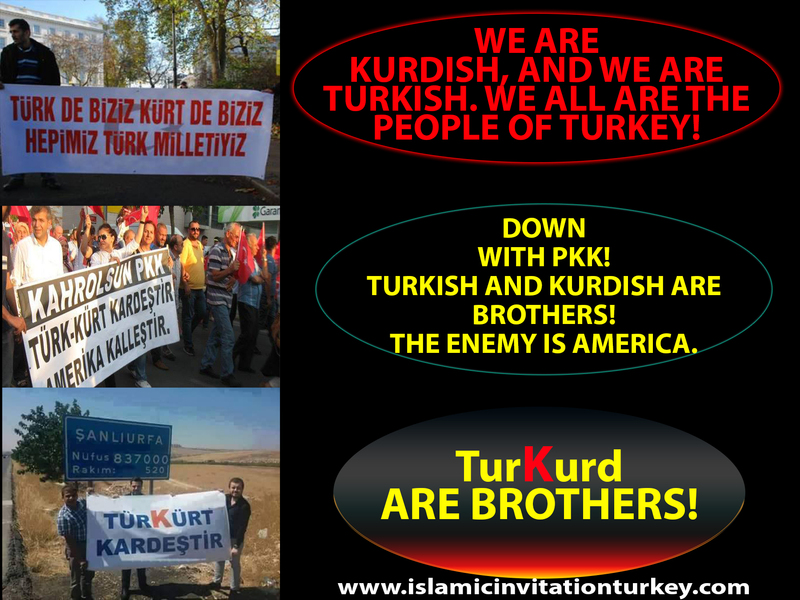 1- According to the confession above both Turkish and Kurdish people are betrayed under PKK card. Kurdish people and Turkish soldiers who are already the sons of this land have been killed under this PKK card. 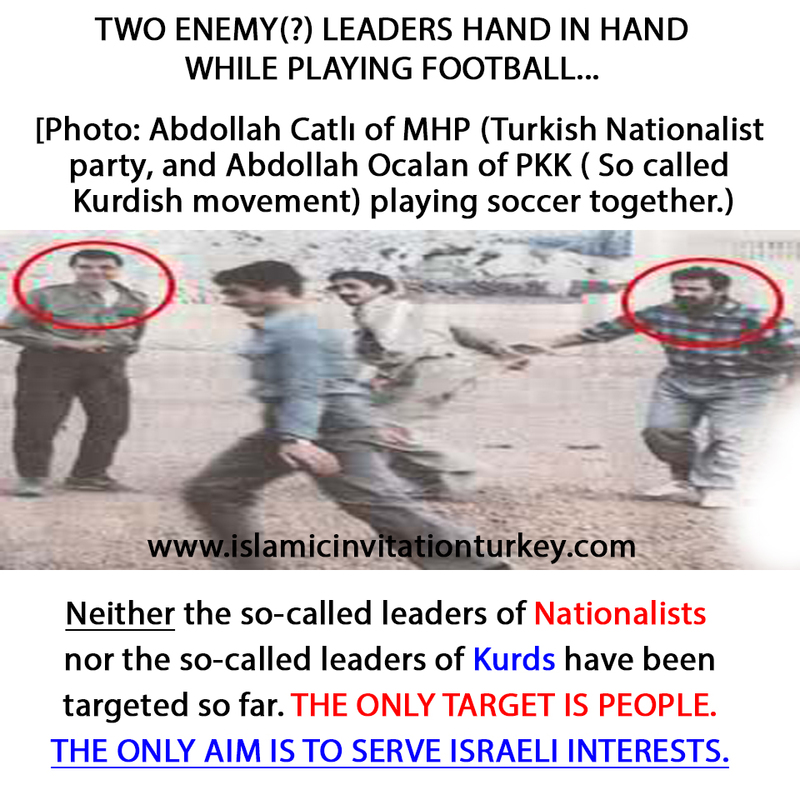 Kurdish people and Turkish people are being killed by the same center that is already under the command, control of Israel. The eastern, southeastern part of Turkey is being evacuated and the people there are being killed for the GREATER ISRAELI PROJECT. VIDEO- Besir ATALAY, the Vice Chairman and Spokesperson of AKP, is confessing how their government supported, established PKK in Turkey. 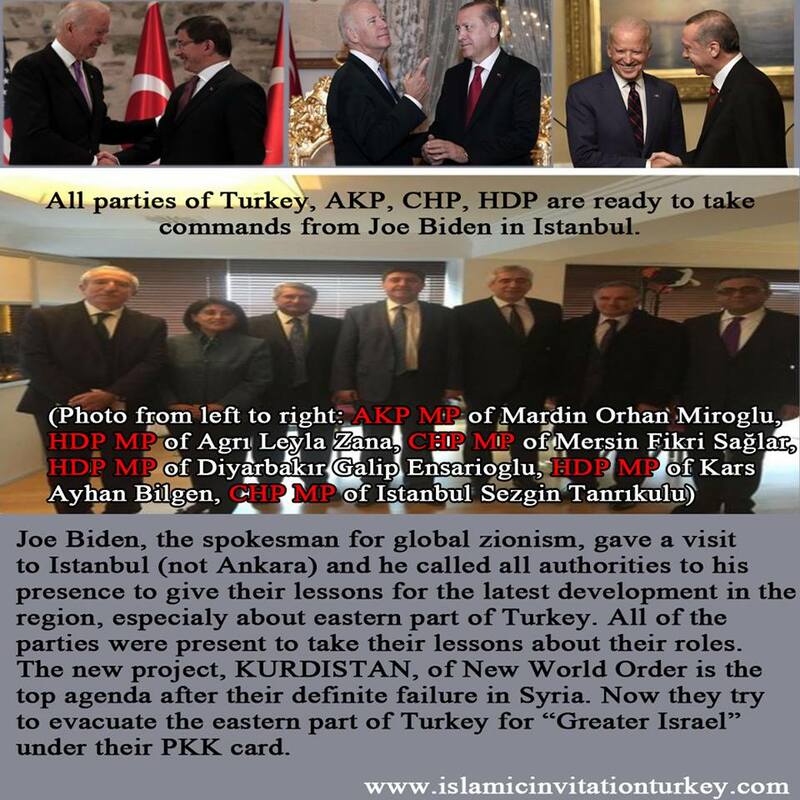 2- After the failure of “Greater Israel” Project in Syria, now they are performing another dirty one in eastern, southeastern part of Turkey under KURDISTAN name with their PKK tool. People of the eastern part of Turkey are killed and forced to evacuate the region for the sake of “The Promised Land”. Turkish government imposed a broadcast ban in the region where thousands of people are killed under terrorism name while the names of terrorists are kept secretly. No names of the terrorists are told to the people. WHY? What is happening in the region? Who are the masked men shooting people randomly? Is this a command from Biden? Once again the people of Turkey understand that none of the parties are representing them as you see all of them in the family photo. 4- KURDS, THE ORPHANS OF UMMAH. PKK was established by enemies of people of Turkey and enemies of Islam at the border with Iran to prevent effect of honorable Revolution of Iran, which can be easily accepted by people of Turkey, especially Muslim Kurds living mostly in the eastern part of Turkey. PKK was established on the Marksist ideology in order to have a SHARP distance from real Islam that is the choice of every free person. By establishing, financing, arming, training PKK, the other Free Kurdish movements out of the control of Turkish government were finished gradually. Ocalan has no difference from other politicians in Turkey. 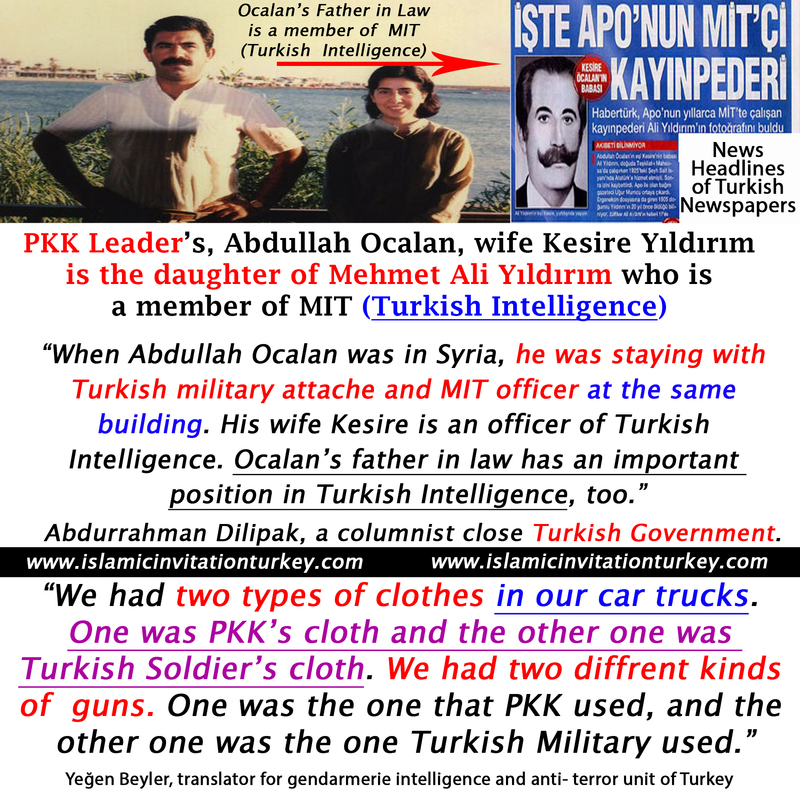 Ocalan, “We do, apply the secret commands of MIT(Turkish Intelligence Service) together,” They graduated from the same schools. Some of them became politicians and some of them chose to maintain their service for “The Promised Land” by pretending to resist against government. Throughout their history they have played well, and never targeted the leaders of both sides of the same coin. 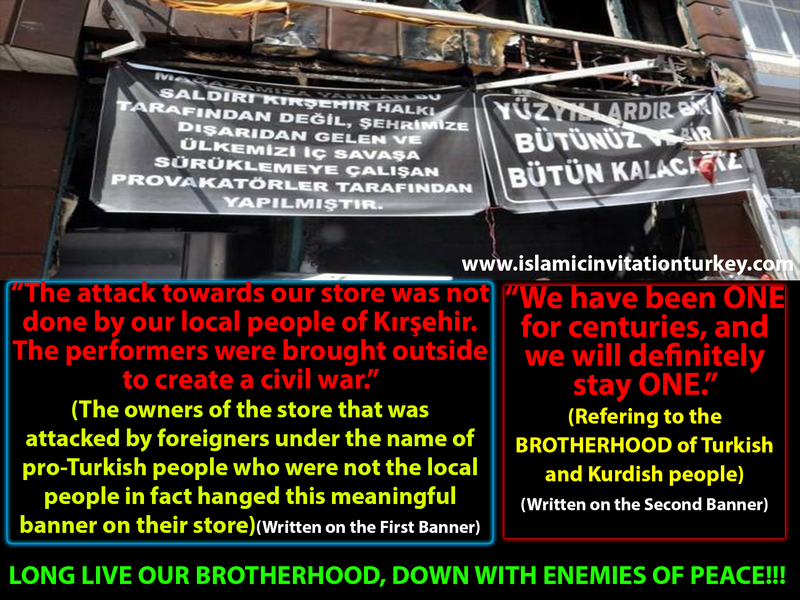 Oppressed Kurdish people have always been the target of both sides under different excuses. Turkey and Barzani’s Kurdistan dream that Kurds are workers and Zionists are rulers is collapsing thanks to the victorious in Syria and Iraq. 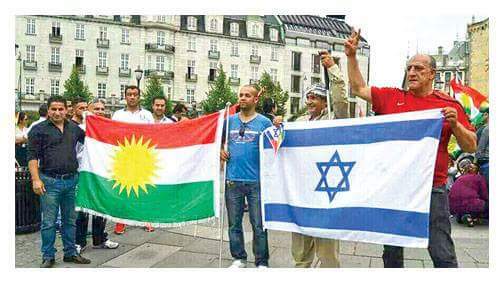 Zionist Jewish Barzani gets into panic when he understands that his turn is coming soon. There were many Kurdish movements like DDKD, Ala Rızgari, etc. in 1970s in Turkey which were not under the control of Government. PKK was established in order to control those free groups. All other Kurdish movements were finished by strengthening PKK. Turkish Government established Hezbollah (Actually HezboSatan) to control and finish all other İslamic movements. In order to introduce this so-called Hezbollah (this name was intentionally chosen to create a bad image for Lebanese Hezbollah) the government create an artificial war between PKK and HezbolSatan for several years. Hezbol Satan was presented as an Islamic one by media. After this game, Intelligence, HezbolSatan and PKK were honored by Barzani in Iraq’s ZAHO. All of them were signed a peace deal. When so-called islamic HezbolSatan signed peace deal with PKK, this so-called islamic group under government control attack real Muslims across Turkey and killed thousands brutally just the way of ISIL today. With all kinds of help (just like ISIL) these killers broadened their massacres silently, which is UNFORTUNATELY not known by world media. These terrorist HezbolSatan movement forced all Muslims to take their supports, but martyred thousand others who rejected them. All those events were presented by state media SO NO one could reach the realities but the witnesses. You can think the same of ISIL. 5- What do people of Turkey think about so-called PKK in Turkey? Do people believe in PKK or do they blame authorities for the killings of their sons? Here below.. The Deep State in Turkey aim to speed up chaos and an internal war inside Turkey by their ISIL and PKK cards.The dark powers who feel raw about the peace in Turkey have implemented the chaos and war of Syria, Iraq inside Turkey.Terror groups declared that the truce is over following a so-called blitz against ISIL and PKK. Thousands of foreign agents who are Kurdish looking attacked soldiers and policemen brutally following an air attack, which has never happened in reality but on papers and media, towards PKK and ISIL. There is a vicious common plan to massacre our People, soldiers and police in southeast of Turkey under cover of PKK and ISIL.powers in Turkey are very busy with preparing a vicious plan to massacre people, this filthy common plot, sham fight, will come to nothing with the help of Almight Allah and the experienced people of Turkey. Furthermore, the wish, word of Allah is very close. Turkish people have never been on the side of war on Syria. Turkish, Kurdish, Sunni, Shia and all people of other sects and ethnic entities in Turkey know that the latest chaos being created in Turkey is coordinated to massacre people of the region under different games. 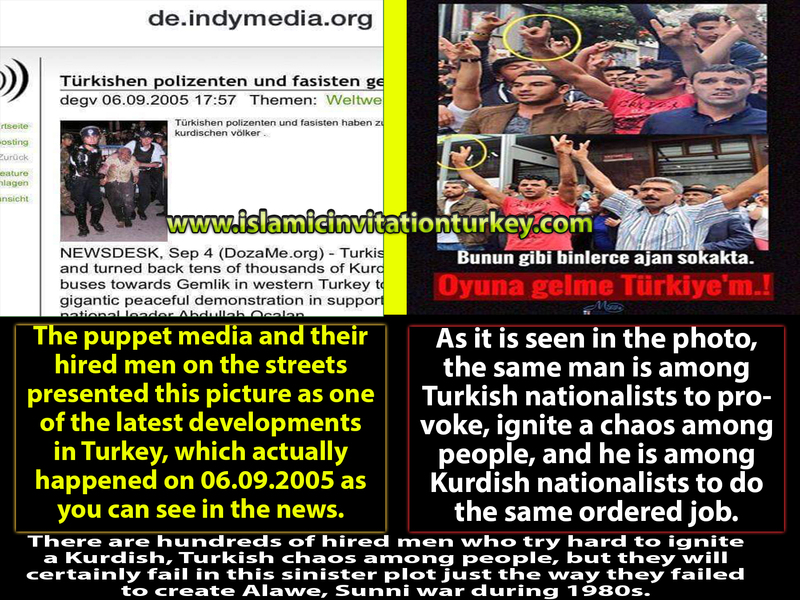 Turkish people put the blame on Turkish authorities when they face any problems or any cases. Mothers of the martyrs say that the Turkish officals are the reason of the killings of their sons. For example, one of the mothers cried fearlessly to the face of authorities, “Killer Government! 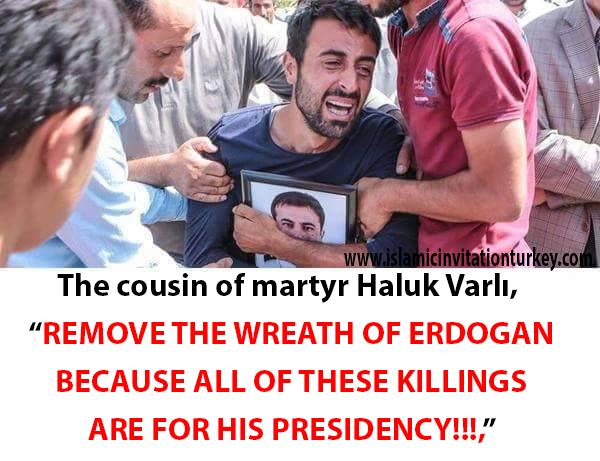 Why does not Erdogan send his son to military service? Let him send his son,” This awareness of the people of Turkey make the savage performers brood over massacre of Turkish people because the people of Turkey will certainly declare the authorities as the killers in case any massacres in anywhere of the Turkish soil.